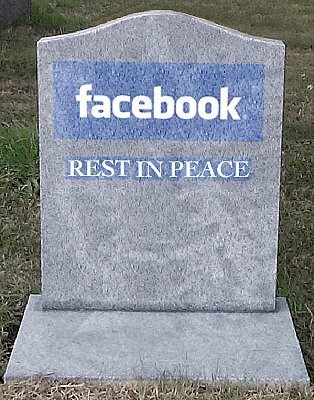 Facebook’s new policy encourages you to predetermine a “legacy contact” to administer your postmortem profile. Once named, the friend or relative can post information on funeral arrangements and other related details, as well as respond to new Friend requests. However, the legacy contact will not be able to log into your account, change any content, or read Facebook messages from friends. In order for a page to transfer to the legacy contact, the social media colossus still requires that your profile be memorialized and requests proof that you are indeed dead. The preferred evidence is a link to a published obituary. Some of the permissions that will be available to your administrator will depend on choices you make when setting up the legacy contact. In terms of long term consequences, the most important is probably the option to give your Facebook executor access to the posts, photos, videos and information in your “about” section. They will be able to see everything except your personal messages. If you are not the sentimental type, you can also choose to have your Facebook page taken down permanently following your death. The flip side of naming a successor for your social media is the challenge of what to do if a close relative dies without naming a legacy contact. Facebook provides a form for friends or family to request changes following a death. However, you will need to know a fair amount of the deceased’s account details, including the exact version of the name on the page and the e-mail account used to create the page. They also require documentation in the form of a death certificate, a birth certificate or other proof of authority. Obtaining this material could be upsetting in the aftermath of a death, but we have to understand Facebook’s position as well. They need to establish a high bar of legitimacy to prevent sabotage and pranks. Once you have established your credentials, you have the option of either removing or “memorializing” the page. But Facebook won’t do anything unless you proceed according to their protocol, so the page will remain online as a potentially disturbing online artifact until Facebook changes their policy again. For all these reasons, it is far easier to have legacy contact status set up beforehand. If you don’t want to name anyone, you can simply opt to make the whole thing disappear. Not everyone will immediately see naming a Facebook legacy contact as a priority in their lives. Even though society has been awash in social media for over a decade, it is fair to say that our culture has not had time to assimilate whether or not a Facebook page constitutes part of one’s inheritance. But it may well be useful to give the matter some thought. A bit of foresight now could help remove at least one source of anxiety for your family in the case of your untimely demise.